Ingram Micro, the authorized distribution partner of Apple in India has announced that the iPad Air and iPad mini with Retina display will be available in India starting December 7. The iPad Air 16GB Wi-Fi will be priced at Rs.35,900 while the iPad Mini with Retina display 16GB Wi-Fi will be available for Rs.28,900. The iPad Air, the latest version of the iPad , features a 9.7-inch Retina display in a new thinner and lighter design. It weighs just 453 grams and is 20 percent thinner and 28 percent lighter than the fourth generation iPad. Also, with a narrower bezel, the borders of iPad Air are thinner. Though there is no official confirmation on the prices of other variants, earlier reports suggested that the iPad mini Wi-Fi only 32GB will be priced at Rs.35,900, 64GB at Rs.42,900 and 128GB at Rs.49,900.The iPad Air Wi-Fi 16GB version will be priced at Rs.35,900, 64GB for Rs.49,900 and 128GB for Rs.58,900. While, the cellular variant will start from Rs.44,900 for 16GB, Rs.51,900 for 32GB, Rs.58,900 for 64GB and Rs.65,900 for 128GB. The iPads are coming to India soon after Google launched the second gen Nexus 7 in the country, though the Nexus 7 is much less expensive, starting at a price of Rs. 20,999. If you are on the lookout to pick up a new iPad Air or iPad mini and don’t know how different it is from the previous generation you can take a look at our comparison story for some clarification. If you are confused between the iPad mini with Retina Display and the Nexus 7 we have an in-depth comparison for you to check out! Apple's recent flagship, the iPhone 5S was a huge success in India recording the best ever sales in India for an iPhone. Retailers are struggling to meet the demand for the device as the model has been sold out across India even weeks after its launch. Are we going to see history repeat itself with the iPad Air? We'll find out shortly, till then stay tuned. 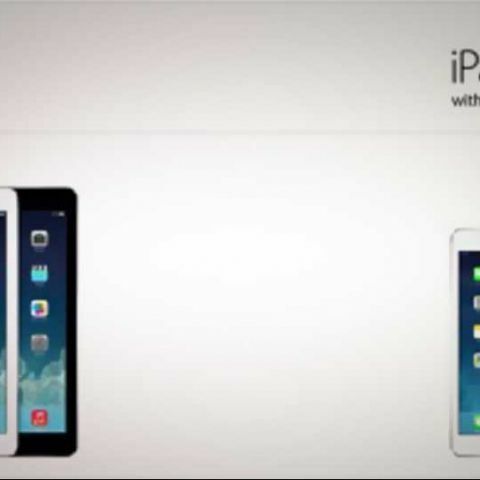 Learn more about the iPad Air here.